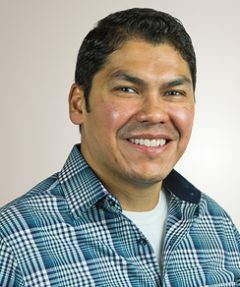 Carlos is a Registered Nurse who has been working for Sacred Heart and Riverbend since 2005. He obtained his Associate’s degree in Nursing in 2008. His experience over the years includes adult medicine, pediatrics, postpartum and labor and delivery. Carlos was born in Mexico and is fluent in Spanish and English allowing him to provide care for Spanish and English speaking families. Family centered care is one of his priorities and he is always eager to meet first-time parents and returning families as well. Family is very important to Carlos and he enjoys spending time with his wife, kids and their dog Annie.